Where Can I Find Positive Geared Suburbs? Where Can I Find Positive Geared Suburbs? 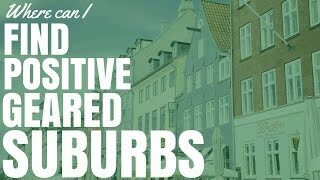 Where can you find positive geared suburbs? Suburbs that have a high proportion of positive cash flow properties can be found all over Australia. Where can I find positive geared suburbs in Australia? If you are investing in property in Australia, it can be very difficult to find positive cash flow properties. However there are some suburbs that are more likely to generate positive cash flow properties than other suburbs. 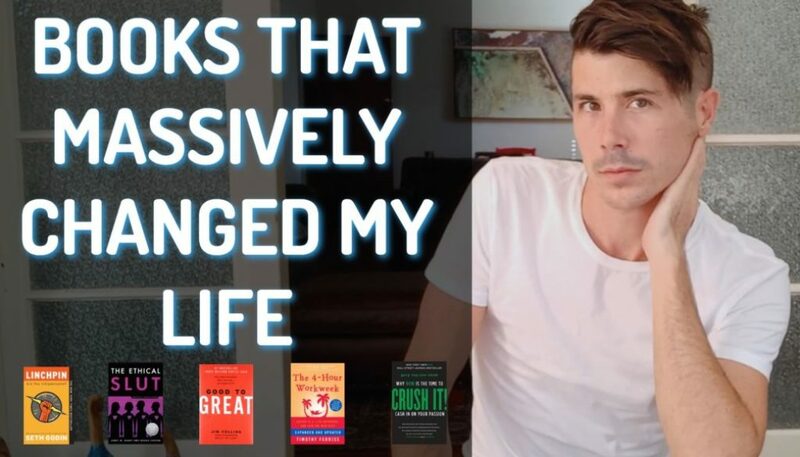 So I want to give you some ideas where you can find these suburbs and some things you can do to help you find positive cash flow properties. Hi! 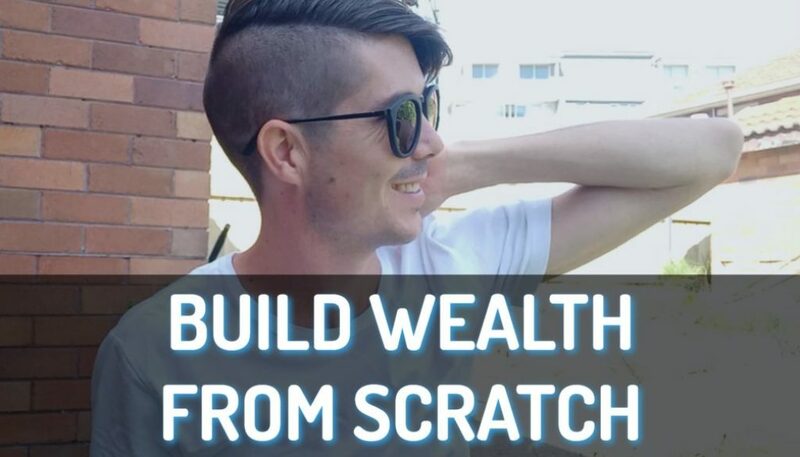 I am Ryan from onproperty.com.au helping you find positive cash flow properties and I know a lot about finding positive cash flow properties. I have a membership site called On Property Plus where I actually list new positive cash flow properties every day. So I am always out there. I am always searching for positive cash flow properties to show to my members. I spent a lot of time doing this so if you are thinking, Who is this guy and what does he know about positive cash flow properties? Yeah, I spent a lot of time looking for them, a lot of time analyzing them. And something that I need to say from the get-go is it is very actually rare to find an entire suburb that is going to be positive cash flow. It is not like the entire suburb – every property in the suburb is going to be positive cash flow. What it is is that the suburb generally has a higher rental yield compared to other suburbs, maybe in the capital city or something like that. Therefore you are more likely to find positive cash flow properties in that suburb. However it does vary from property to property like in – we are going to talk about the different areas that you can look at at the moment but when you are looking in regional areas and you are looking at properties at the lower price, under $100,000 – yes there are properties out there under $100,000, it can be very difficult to get those properties to be positive cash flow because the expenses like your insurances, your council rates and stuff is such a large percentage compared to the purchase price of the property. But basically, what I am trying to say is that it is not the suburbs. It is the property. But there are some suburbs that are more likely to generate a positive cash flow. Where can we start looking knowing that we are not going to find a suburb that is always going to generate a positive cash flow but we are looking for suburbs where there are more positive cash flow properties than other suburbs. One good place to look is in regional centres. Rather than looking in Sydney or Melbourne or Brisbane or something like that. Go outside of them and look for your large regional centres. In New South Wales, this would be things like Dubbo and Orange and Bathurst, like Lithgow which is just south of Sydney. You can go north of New South Wales, there is Murray, Armidale – a whole bunch of different regional centres in all the different states. So basically rather than looking in a capital city, look in these regional centres. And the good thing about these regional centres is that they have a significant population. Generally, you are looking for over about 10,000 people because that opens up more lending options for you. Having that larger population gives you more lending options, means you can often borrow more. If you are investing in a really smaller area, you might need that 20% deposit however regional centres that are bigger, you can invest with a 5% or 10% deposit. So it opens up those lending options and then also you have more stability in those areas because there are more people in the area, so regional centres are good places to look. The easiest way that I found to find regional centres, if you do not have access to anything, just go to whereis.com, which is a map of Australia. Basically, you just zoom in on the state and different areas of the state. You look for where roads cross over each other and there you will likely find a regional centre. I did actually compile a list of each town by their populations which is available inside On Property Plus, my membership site which you can find on onproperty.com.au/plus and there you can sort by state or sort by population and see those regional centres that have those populations. Otherwise go to whereis.com and then if you need to find the population, just type in the town followed by the word Wikipedia into Google and then it will bring up the Wikipedia page which will have its population on there, so regional centres are good places to look. Another good place to look can be country towns. Now country towns, they are likely going to fluctuate more. You may have a harder time getting lending but in general country towns are more likely to generate a positive cash flow than your capital cities or even your regional centres. Why this is, I am not 100% sure why rental yields are so much higher in country towns, why it is not stable. But yes rental yields in country towns tend to be pretty high and it is pretty easy to generate a positive cash flow. Now, when a lot of people are investing in country towns, one of the big whys on country towns is that the rental demand is in there. It is very hard to go online and to do all your searches that you do in a standard suburb in a country area to find out what the rental demand is because it is just such a small town and often things happen that are not on the internet in the country towns because they are just so close to each other and the real estate agents have a waiting list for people. I used to be a pharmaceutical representative and I went to this country town called Condoblin, which is about an hour to an hour and a half west of Parks. It is a town of about 2,000 people and I remember when I was in Condoblin talking to the people there – because I go out to dinner with these pharmacists and stuff, they were saying that the rental market is actually extremely difficult here because you actually have to get on a waiting list in order to get a property because there are not many investors in the area. There are no properties to rent. Their only option is to buy property and so in some areas, even though there might be websites or there might be investors out there saying they do not invest in country towns because there is no rental demand that is not actually true in every single case. In some country towns, absolutely; but in others like Condoblin – now that was years ago so do not just expect that Condoblin still has a high rental demand, but in some areas the rental demand is actually extremely high. And as long as you buy a property that people want to live in the area, like a 1-bedroom unit in a country town where people can buy a 3-bedroom house for really cheap, probably not going to cut it. You probably are going to look for 3- to 4-bedroom house or maybe you want to be close to town, just something that is going to appeal to the mass of the market if you are going to go for country towns. But country towns are super easy to find positive cash flow properties if you are looking. The real estate agent may not list this property would rent for ‘x’ but give him a call, they can talk you through it, they can help you find a property that suits your needs. Other places to look, low socio-demographic areas. If you are dead set on investing in a capital city then a low socio-demographic area which means there is more government housing or people do not earn as much money, they can generally get higher rental yields as well. There are some risks in these areas. 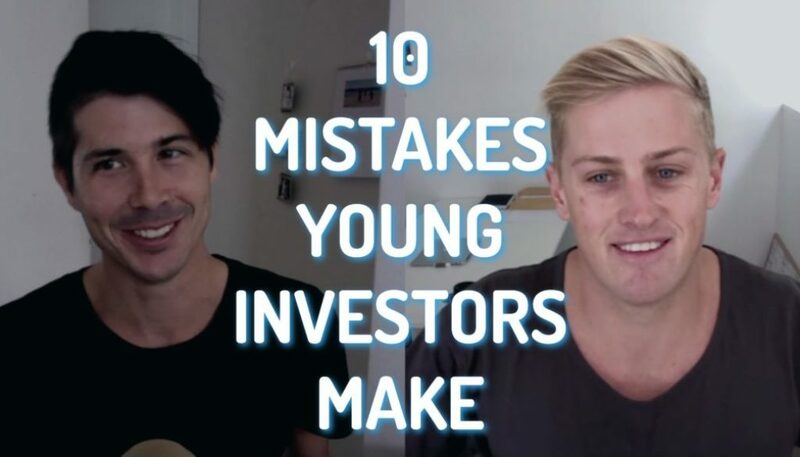 I did an interview with a guy called Ben Turner who did invest in low socio-economic areas. He did some trouble but did generate a positive cash flow. I think it was on episode 102, go to onproperty.com.au/102 to see the interview with him. But basically investing in low socio-demographic areas, you are getting a lower price property. You generally are getting a higher rental yield. Therefore it is easier to generate a positive cash flow. Obviously there are risks associated with this like damage to the property or people not paying their rent. But you need to assess this on an area-by-area basis and see what the situation is going to be. Obviously have your insurances in place so you do not get caught out. Those are 3 areas that I would look for positive geared suburbs. If you need to find out what are the suburbs that are generating a higher than average rental yield, then simply get a property magazine like the Australian Property Investor, and at the back of the magazine they have a lot of statistics on different suburbs. They have median house price, median rental yield and that is what we want to look at, median rental yield of the area. Basically you can scroll through that list and you can look for areas that have higher rental yields than others. Look for ones that are over 6%, over 7% of the median rental yield and the chances are you are going to find positive cash flow properties in those areas. When you are looking in areas like Sydney, like Cronulla for example – which is where I used to live, and you have rental yields like 3% to 4% and they are in units so you have to pay body corporate fees, the chances of generating a positive cash flow is almost nothing unless of course you buy that property outright and you do not get any loan or something against it. So if you want to find those suburbs, get a property investing magazine. 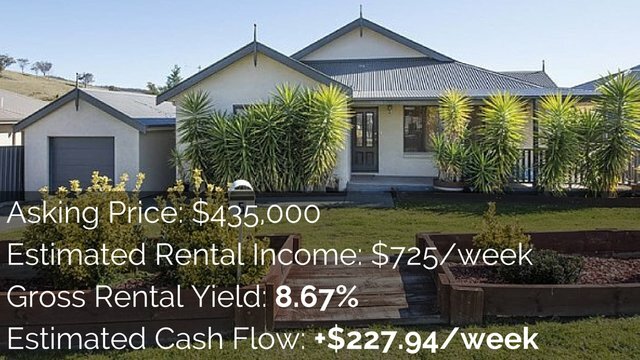 Look in the back and go through the statistics and look at the median yield of those areas and then the areas that have a high median yield, then you go on to realestate.com.au and you search through those areas to try and find positive cash flow properties. So that is the best way to actually find positive geared suburbs. Stick to regional centres, country towns or low socio-demographic areas and then also look in the magazines and look at the statistics. Now when you are looking in these areas or maybe you do not want look in these areas but you still want to find positive cash flow properties then you need to look for properties that are more likely to generate you a positive cash flow. And some of these properties generally have something different about them. They are not your standard house that is just going to rent to your standard person. It is a little bit different. A little bit quirky maybe like myself. A little bit out there. Alright, what you are looking for is potential dual income properties. These are properties where you can get multiple incomes from the one property. It might be a house that has been split in two and they rent out the front of the house to 1 tenant and the back of the house to another tenant. My dad lived in this block of units and they had a garage in the back that had also been converted into a unit to live in as well, so multiple incomes coming in from that property. Dual income properties can be a great way to do it or if you find a property that could be a dual income property like if you could find a property that you could easily put a wall in, add a second kitchen and then it would split up, then that might be something to look at. You have to invest a little bit but then you can get a higher than average rental yield. Look for properties that have granny flats in them or that have enough area to put a granny flat, especially in New South Wales at the moment. It is super easy to get a granny flat approved in those areas. Obviously check the different councils as to what is going on but because of the problem of housing in Sydney and in most metropolitan areas in New South Wales, they are allowing these granny flats a lot more than previously. They are not super expensive to make. We are talking about $100,000 and when I spoke to Wally Gabriel from Granny Flats Solutions on how to build a granny flat he was saying that often the granny flats actually rent for more than the house itself because the house is run down, the granny flat is brand new. And in areas like the northern beaches of Sydney he was saying granny flats run for $600 a week! Imagine spending a $100,000 and getting $600 a week rental return for that. It is just absolutely insane. It is something like probably 30% rental yield per year. 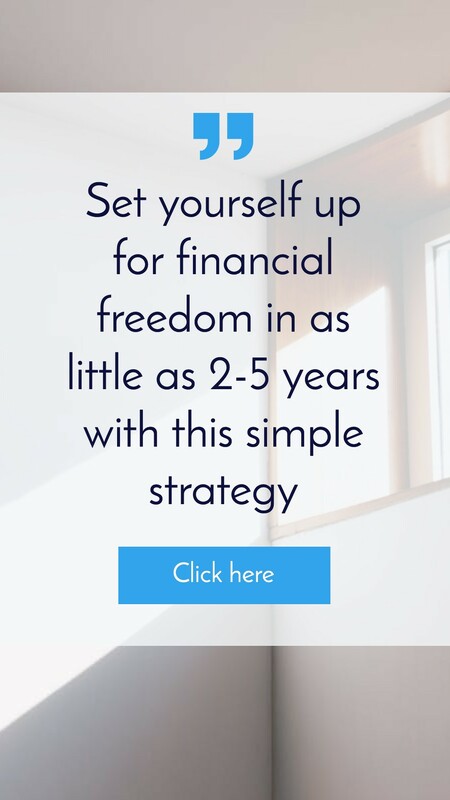 That is going to help you generate a positive cash flow. So the properties that I have found in capital cities that generate a positive cash flow, either those dual income properties or the granny flats are a great way to find positive cash flow properties in capital cities. Look for fixer-upper properties, properties that need some work done. You can purchase them under market value, do the work and then hopefully rent it out for a great return. Look for blocks of units, not so much in capital cities because they tend to be really really expensive. But definitely in regional centres, blocks of units are a great way to earn a positive cash flow especially if you can go in there and improve the blocks of units in some way, make them more desirable, because if you own a house and you up the rent by $5 per week, that is not going to make a big difference to your bottom line. But if you own a block of units and you can increase every unit by $5 per week, say there are 20 units, that is an extra $100 a week, $5,000 a year so you can get a bigger return for your efforts in a block of units if you know what you are doing. Blocks of units, lending is a bit different around that. Sometimes they are considered similar to a commercial property where you need a 30% deposit but speak to a mortgage broker about that. Another thing to look for is student accommodation. For example in inner cities like Ultimo and stuff like that, we are seeing a lot of student accommodations. In Jesmond which is in Newcastle, there are a lot of student accommodations around there, around the university. Student accommodation, I do not like the ones that are just like a single room dorm or something like that because I feel like resell value would be difficult but if you could purchase a house that is near the university and you could rent it out by the room, then I have seen significant increases in the rental yield doing that. If you are getting a rental manager to do it you are going to likely have more rental manager fees, rather than your standard 6% to 8%, it might be more, 10%, 12% or more percent in rental manager fees because it is more work or you may need to do it yourself. But rather than renting the property for $500 if it is a 4-bedroom house, you might be able to get $200 a week per room for that house because people are coming individually. Definitely student accommodation is something to look at but the only problem with student accommodation is that you have a span of time – December, January, February, 3 months in a year where the students might actually move out and go back home and so you have your property vacant or partially vacant for 3 months in a year when no one at the university. So that is something to consider and something to be aware of if you are going to do that. Is the increase in the rental yield actually worth the increase in vacancy rates that you are going to experience? So there you have it. Where can I find positive geared suburbs? In regional centres, country towns, low socio-demographic areas. Get a magazine and have a look to try and find those higher than average rental yield suburbs. And again you are not going to find a suburb that is fully positive cash flow but you can find properties within a suburb or higher proportion of properties in a suburb that are likely to generate positive cash flow. So I hope that this has helped you in your search. If you need help finding positive cash flow properties, as I said earlier I list positive cash flow properties every day and share it with my members on On Property Plus. You can check that out by going to onproperty.com.au/plus or if you need help and you are out there and you are looking at these areas and you need help assessing these properties – you have the purchase price, you have the rental income but is this going to generate a positive cash flow or not? I actually have an online software tool, an online property calculator where you can input purchase price, you can input rental income and it spits out an estimate of what the cash flow of that property is going to be. So you can use this in your search to quickly assess whether or not a property is going to be positive cash flow and then if you find a property that you like, you can go into more detail and all the expenses and you can see how will this stack up, what is the return on investment. You can get a more accurate result by going into detail. 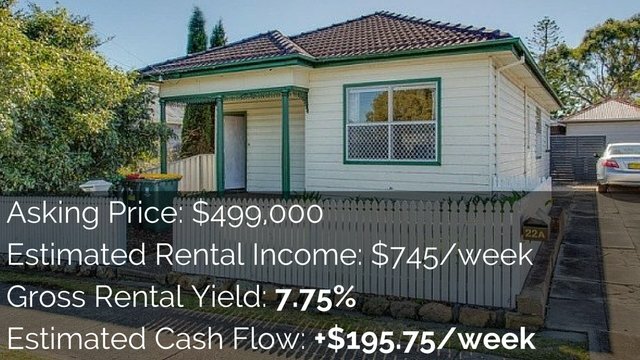 You can check that out, super affordable, go to propertytools.com.au in order to get that calculator. I launched that calculator just over 2 months ago and I have a lot of people sign up for it, people love it. So check out propertytools.com.au if you need help assessing the cash flow of a property. There you have it. Where can I find positive geared property suburbs? You should know now and you can go out and you can do it yourself. Or you can get my help, up to you. I do not care. I hope this helps you. Until next time, stay positive.